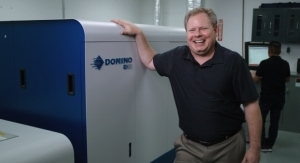 MPS offers the hybrid EF Symjet, powered by Domino. 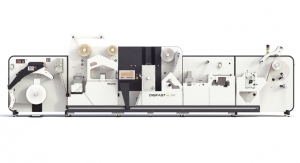 Italian press manufacturer Omet has partnered with digital inkjet specialist Durst for the XJet hybrid press. In the world of label printing presses, the word “hybrid” has taken on a life of its own. The term itself has been greatly overhyped and its meaning has been obscured by conveying different things to different folks. In fact, in some cases, it has been hijacked by certain equipment vendors to imply that they were the originators of the concept and essentially invented hybrid printing. This article will aim to inject a little bit of reality into “hybrid-mania” and help converters to better understand what it means, what it doesn’t mean and what they should do about it when making a printing system selection. 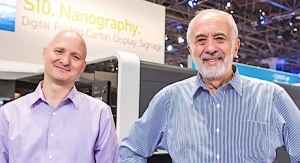 So what exactly is all the excitement about hybrid printing? Is it really the best thing since sliced bread? Both analog and digital equipment vendors are working hard to associate themselves with the concept of hybrid printing, often creating extensive marketing campaigns to show how their “hybrid” is superior to others. Advertisements, white papers, webinars and other creative content aim to “prove” how their specific combination of analog and digital technology is best for solving converters’ manufacturing challenges by touting the many benefits of hybrid label presses: configuration flexibility, job printing optimization, seamless integration, best of breed components, world-class R&D partnerships, and more. In fairness to today’s equipment manufacturers, the use of excessive marketing hype during the launch of new products is not something unique to them, or even to just the printing industry. In fact, as the Billy Joel song says, “...it’s been always burning since the world’s been turning!” The essence of marketing is to inform, educate, differentiate and persuade through emphasizing all the benefits of its company’s products and services. Of course, a natural side effect of this is to de-emphasize, or more likely, ignore any potential limitations. By definition, this creates a one-sided hype cycle that often results in product expectations being misaligned with actual business requirements, especially in the early days of a new disruptive technology. Over a decade ago, when inkjet was first emerging as an industrial label solution, this digital technology was used almost exclusively as an on-press VDP replacement for slower, off-line thermal transfer printers or less capable inline toner-based systems. 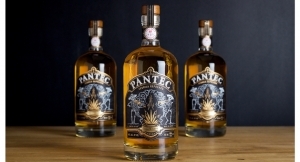 Essentially, digital printing played a minor, although increasingly important, supporting role in the mass production of labels, complementing the true workhorses that did 99% of the work – analog presses. 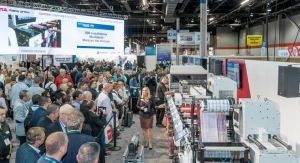 All that changed when the first affordable, full-color digital presses debuted at major printing trade shows, such as Labelexpo, aiming to completely replace, not complement flexo presses. This shepherded in an era of digital printing “hyper-hype” – digital press equipment providers issued marketing materials that hinted that analog printing processes were essentially obsolete. There was a palpable fear among many flexo press manufacturers who were concerned that digital was an imminent threat to their entire business model and industry. Even the original digital label equipment providers, the dry and liquid toner players, were concerned that inkjet technology was a superior digital solution and allowed for higher speeds, improved print durability (especially UV inks), broader substrate support and lower operating costs when compared with click models. What those inkjet label pioneers hadn’t realized was that they had only created a digital label printer but not a fully capable digital label printing press. Printing was only one of many aspects of converting, and these early digital solutions didn’t account for the need to offer flood coating, varnishing, matrix removal, slitting and other aspects of label production. 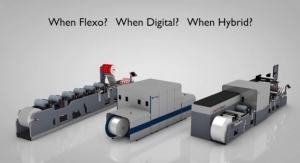 Instead, digital solutions were typically standalone devices that required alternative and less efficient finishing operations rather than leveraging existing inline diecutting capabilities that were already on flexo presses in the converters’ shops. These hyped up marketing claims were ultimately tested in the real world by the visionary converters who were the first to invest in early full color digital machines. 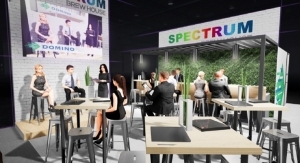 They reaped the competitive benefits of being first-to-market with digital, but they also quickly saw the reality: digital printing speeds were relatively slow compared to flexo presses, and inkjet ink prices were much higher than flexo inks. This combination of slowness and costliness tainted some of the promise of pure digital and posed significant barriers to its broader adoption, making such solutions suitable only for certain types of short run jobs. At the time, these types of jobs made up a very small part of the portfolio of work that converters produced. The hype had been premature: Digital label printing was definitely valuable, but it would not instantaneously replace analog presses. Rather, it would offer complementary capabilities for efficiently producing previously unprofitable jobs. Once it became obvious that digital printing was not an immediate existential threat to the entire industry of analog equipment manufacturers, its value was more clearly recognized in the form of hybrid solutions. In fact, it wasn’t long before hybrid printing presses with both analog and digital subsystems were created as the optimal way to leverage the strengths of both technologies. 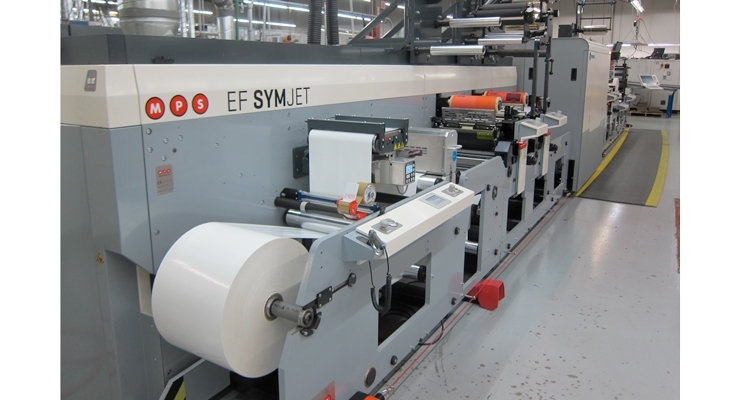 Traditional flexo press manufacturers created their version of hybrid by incorporating digital print stations on existing analog printing presses, thus allowing for profitable short- and medium-run printing, versioning and variable data printing. 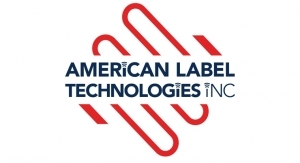 On the other hand, digital label press manufacturers started with an inkjet or toner (digital) engine and then augmented that with various analog printing capabilities such as flexo stations for cost-effective white flood coating, priming or post-print varnishing. Other forms of non-digital technology were also included such as cold foil for decorative printing, jumbo roll support and conventional finishing (rotary or semi-rotary diecutting). Ironically, even though traditional and digital press manufacturers had started out as competitive “archenemies,” their common “destination” ended up being a hybrid printing solution, the only difference being where their respective product development journeys had originated, either as an established flexo press adding digital options, or as a natively digital press incorporating proven analog components and capabilities. Across a wide variety of markets, hybrid products are often the norm, not the exception. Disruptive technologies often reveal themselves, first as a hyped up “Big Bang” replacement of the status quo, followed by a more deliberate, sustainable invasion. Manufacturers’ product roadmaps frequently anticipate a series of hybrid evolutionary “pitstops” as they move toward the revolutionary replacement that was first envisioned. These products play a critically important role in bridging the gap between an entrenched product category and disruptive replacement technologies. Hybrid’s purpose: The primary reason that competing printing technologies exist in the first place is that each individual product is optimized to address part of the challenge, and its “competitor” technology is suited for a different part. For example, if you need to print one million duplicate beer labels in the most cost-effective way, your best bet has been, and still is, to use a flexo press. Alternatively, if a customer is a local microbrewery who only needs a few thousand brew-specific labels, then digital would be best as it wouldn’t incur the plate costs and lead time delays of flexo. Hybrid printing presses aim to be the best of both worlds, able to produce either job, as well as other complex labels that have both static information and VDP/versioning. Note that just because a hybrid solution is an intermediate step on the journey to full technological replacement does not imply in any way that it is an inferior product. In fact, because it creatively brings together the best of the old and the new, it often delivers a highly reliable, proven platform integrated with a targeted set of advanced features. Role of market dynamics: The necessity for intermediate hybrid solutions can either be helped or hindered by various market characteristics such as installed base size, barriers to entry, technology options and the ecosystem within which a product exists. For example, Elon Musk’s Tesla is often considered the ultimate in total replacement of gasoline-powered vehicles, but hybrid vehicles that marry combustion engines with battery power, like the Toyota Prius, have sold over 10 million units since their debut in the late 1990’s. The size of the global automotive market, emissions regulations, gas prices and a more attainable (but still steep) technology bar are just a few of the factors that encouraged automakers to pursue hybrid vehicles. In a similar fashion, products like DVD/VCR combination machines played a crucial role in enabling the transition between those two competing technology types in the world of video recording. Of course, there are some products that are replaced by new technology with little to no intermediate hybrid offerings. For example, when the automobile first came along, it made no sense to create a hybrid product that was part-horse, part-combustion engine, although as a nod to its predecessor, the newfangled vehicles did decide to hang on to and reuse the word horsepower. In this case, the two technologies existed side-by-side for many years until the inevitable full replacement occurred. Hybrid solutions drive competition: Because hybrid printing combines the complementary strengths of analog and digital printing, there are myriad innovation opportunities throughout the system that have been identified and exploited by analog and digital competitors. 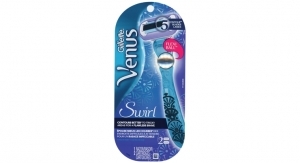 For example, flexo companies have not been idly standing by during this digital invasion. Rather, they have been dramatically streamlining their plate and die changeover times to further enhance overall hybrid label production. 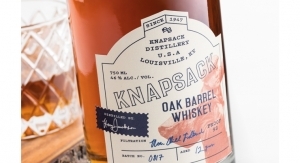 At the same time, digital vendors have been reducing the ink costs of labels by strategically incorporating flexo stations for flood coating economically priced white or clear flexo ink. These and other customer-focused innovations have arisen thanks in great part to the competitive pressures inherent in the hybrid printing revolution. Replacement timeline can’t be orchestrated: Hybrid products are sometimes introduced by market leaders in an effort to control how fast new technology will replace the incumbent. Very frequently, these efforts ultimately fail as their purpose is less about innovation and more about protecting an established revenue stream. For example, when photographic film giants were under attack by digital camera upstarts in the 1990s, the latter launched an array of short-lived hybrid solutions whose goal was to extend and protect their profitable silver-halide film and paper businesses. Unencumbered digital imaging competitors who did not have a legacy business to protect were able to execute their focused replacement strategy more effectively. Today’s analog equipment manufacturers are also being challenged to find the right balance between cannibalizing traditional equipment sales and maintaining a product leadership position. 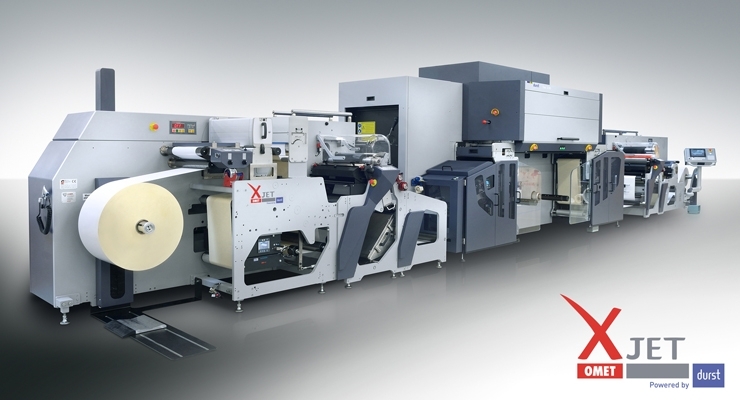 Expect more hybrid in the future: Hybrid printing presses will by no means be the last time that converters will be faced with product solutions consisting of multiple technologies. 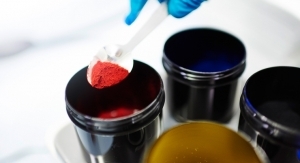 For example, inkjet chemists are fighting physics as they work feverishly to develop label and packaging inks that combine the best capabilities of both water-based and UV inks. 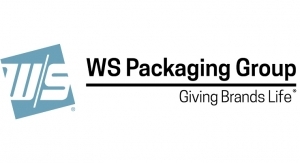 Water-based inks are less costly to formulate, are more eco-friendly and avoid the pesky problem of migrating through packaging, to name just a few features. UV inks, on the other hand, offer excellent scratch resistance, powerful substrate adhesion and highly reliable nozzle firing. Hybrid inks that combine these positive features without inheriting any technology limitations reinforce the main goal of hybrid development: functionality without compromise. Benny Landa famously and very accurately proclaimed, “Anything that can go digital, will go digital.” Implicit in this phrase, however, is the idea that some things can’t go digital or are not likely to be readily replaced by digital anytime soon. 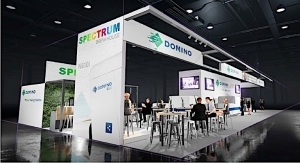 This suggests that hybrid systems will exist for quite some time and will progress through a series of equilibrium stages where the mix of certain flexo and digital content in a printing press is stable for a while before moving on to the next stage. In this sense, full digital replacement is more directional in nature than it is a final destination. What is indisputable, however, is that hybrid systems will be increasingly prevalent, and fewer and fewer printing presses will be sold that are purely analog or purely digital. As we conclude this section on the reality of hybrid technology, let’s briefly consider another disruptive technology, driverless vehicles, and how their transition is mirrored in many ways by digital label printing. The shift from traditional automobiles and trucks to driverless vehicles is a massive disruption that has far-reaching implications in our lives. But, this technology-driven disruption is not happening overnight. There is an orderly transition occurring as cars start incorporating “tech-based” assistants such as adaptive cruise control, lane keeping assistance, blind spot sensors, automated parking and more. For a whole host of reasons, this disruptive technology will not replace existing vehicles overnight. Beyond technology readiness, there are many other factors controlling the pace of adoption, including: ecosystem complexity (e.g., pedestrians, bicycles, weather, gas stations), market dynamics (e.g., size of installed base, insurance implications) and psychological factors (e.g., passenger fear due to loss of control). Similarly, the introduction of digital technology into presses is also faced with many considerations beyond just the technical aspects of inkjet printheads and systems replacing flexo plates. In fact, the technology transformation may be the easiest aspect of this journey to navigate, whereas the required business process reengineering will be much more challenging. Everything from job estimating, order management, finishing, sales compensation, training, customer acquisition and more will be upended and overhauled. With this broad of an impact on all aspects of a converter’s business, it should come as no surprise that this can’t be done by just flipping a switch. What does hybrid mean for converters? For converters already trying to plan and rationalize their capital equipment strategy, the hype over hybrid printing can make an uncertain business decision process even more murky. 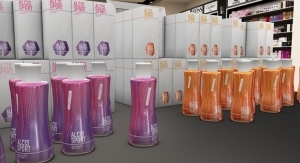 Wading through lots of marketing materials or visiting dozens of trade show booths at Labelexpo adds to the confusion and can seem like an overwhelming task. Just when converters thought they had narrowed their printing press choices down to analog or digital, they end up with a new set of options that are supposed to be the best of both technologies. How should they make sense of this? Actively engage your team and explicitly define the term so everyone has a common understanding of what hybrid printing specifically means to the business. This clarity will eliminate the confusion caused by external hype and lay the foundation for aligning the organization. Revisit your roadmap to make sure hybrid printing is putting you on a path to adopting digital in a timeframe that is aligned with your own company’s objectives. This roadmap is invaluable in documenting the capabilities needed to serve your customers, whether they be Fortune 50 consumer product goods behemoths, or local microbrews. Remember that technology is only a small part of the impact of implementing hybrid printing presses. Converters will have to deal with major implications throughout the business, including for its employees (e.g., training, sales incentives), processes (e.g., workflow), and customer expectations (e.g., turnaround time, pricing). Treat hybrid printing presses as new products and conduct in-depth supplier due diligence, even when working with a longstanding, preferred vendor. The expertise required to create a world-class hybrid printing press involves both analog and digital core competencies, and manufacturers are not natively expert in both; flexo firms are not inkjet experts and inkjet firms are not flexo experts. Rather, they partner with (or acquire) R&D firms to integrate the technology that is “new” to them. 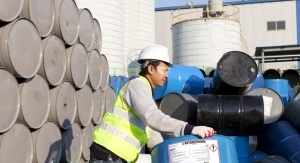 Examine the supply chain to make sure key participants are vetted and scrutinize the engineering processes that make up the integration process. Excellence in execution will ultimately determine the best hybrid solutions. Look beyond the hype and embrace the reality of hybrid solutions as a way to grow your business through new applications and opportunities. Avoid the trap of waiting for the day when digital completely replaces analog. If you wait, you will be at a severe competitive disadvantage to converters who were more proactive with investing in hybrid printing presses. Take inventory of what product configurations are available from top vendors and let their hybrid product development plans help you in pacing your own adoption. Hype aside, hybrid printing is a critically important product solution for converters. Although there will always be a bombardment of marketing mania making it difficult to determine its true value, this article has highlighted the reality of the situation: that hybrid printing solutions are more than marketing gimmicks. They are a necessary and natural part of a complex system of product development cycles, and they can play a very constructive role for converters navigating their own journey to the future of a wholly or partially digital world. 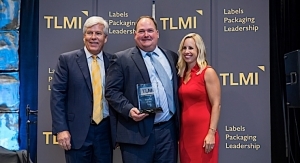 About the author: Sean Skelly provides thought leadership to the label and packaging industries on market dynamics, acquisitions, technology adoption and implementation best practices. He can be reached at skelly@yahoo.com.